The staff at the English Manor want your wedding to be unique which is why they never book more than one event at their venue at once. When a couple reserves a date and time, it’s only about them. A “total package” Wedding Facility. They are more than just your typical Wedding Hall. The EM is a place where you can celebrate “the most important” day of your life, surrounded by friends and family as you enjoy the ambiance of an enchanting ballroom, superb cuisine, and the most friendly service. 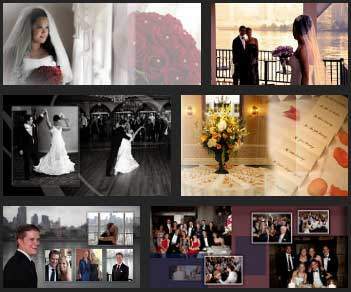 Brianna & John English Manor Wedding This is a Wedding Highlights Video created for Brianna & John, whose Ceremony was held at Church of Saint Catharine in Holmdel, NJ and Reception at English Manor in Ocean, NJ. The video was captured by 1 videographer. This video was captured and edited by New Jersey leading Wedding Videography & Wedding Cinematography Studio – New Jersey Videography. Elizabeth & Sean English Manor Wedding This is a Wedding Highlights Video created for Elizabeth & Sean, whose Ceremony was held at Historic Allaire Village Chapel in Farmingdale NJ and Reception at English Manor in Ocean, NJ. The video was captured by 2 videographers. This video was captured and edited by New Jersey leading Wedding Videography & Wedding Cinematography Studio – New Jersey Videography. The well-manicured outdoor terrace leads to the estate’s main gazebo. Couples can hold their ceremony and cocktail hour outside, before heading inside to the grand ballroom for their reception. Overlooking the beautiful wooded grounds, the Indoor Garden Room brings the beauty of nature inside. This is the spot where the weather can’t interrupt your vows. Hold your ceremony here, then move your guests to the grand ballroom for the reception. Couples can choose to extend the ceremony package to include a full reception or hold a small cocktail hour for the wedding party and family following a reception for a minimum of 150 guests. For the cocktail hour, the staff will set-up a Celebration Table with butlered hors d’oeuvres, beverages and a champagne toast. 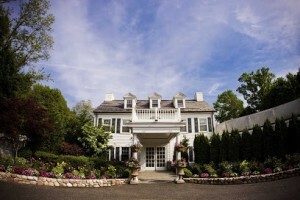 During the winter and early spring, the English Manor offers an inclusive five-hour wedding package. Although it will be too cold to enjoy all that this property offers outside, the spacious Indoor Garden Room provides a fantastic escape from the cold, damp winter. This exclusive cold-weather package includes centerpieces, linens, a Maitre’D service, a choice of three menus, four hours of music from the Elite Entertainment DJ Company and a photography package with Elite Digital Images. This package is only available for parties of 100 guests or more on Saturday and Sunday afternoons for new contracts. The price doesn’t include the ceremony. An additional charge per person plus tax and gratuity is charged for an extra half-hour ceremony. A flat fee is available for parties of more than 150. This wedding venue offers exclusive, gourmet dining. Each package gives couples the choice of a sit-down reception with a full wait staff and choice of several entrees or attended stations. Entree selections depend on the package. All packages conclude with a dessert and choice of coffee, tea, decaf, espresso and the After Dinner Cordial Cart.